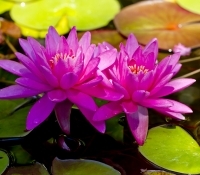 Golden Pond Water Plants offers more than 200 varieties of aquatic and terrestrial plants for ponds. We propagate a majority of the plants on display and for sale at our “botanical garden.” We take pride in offering you propagated plants that are healthy, beautiful, and affordably priced. 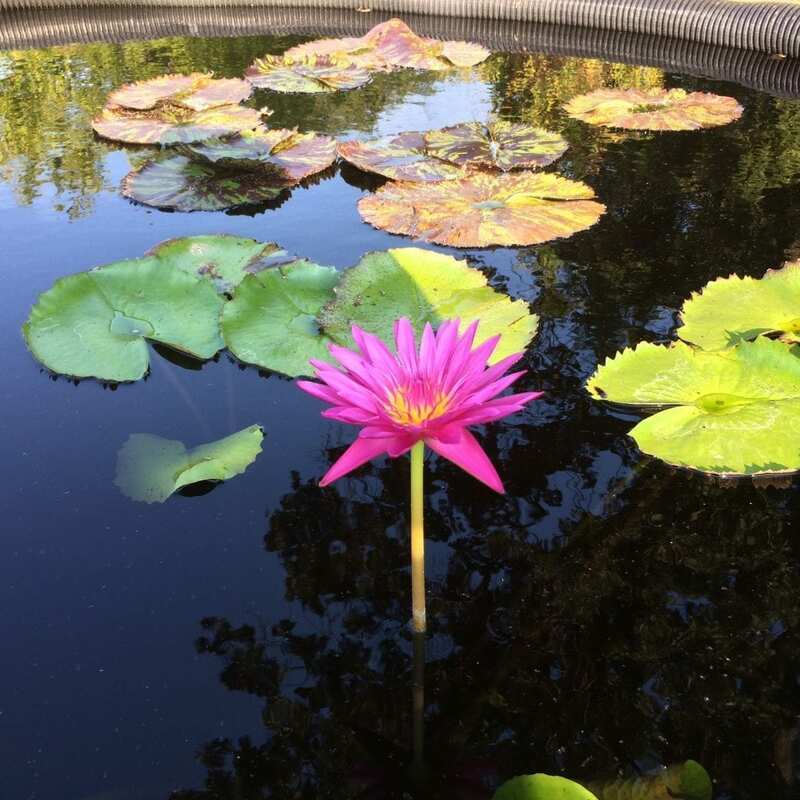 We are conveniently located in the Sacramento area, and are easily accessible for pond and water garden enthusiasts hailing from the Bay area or from Reno, Nevada. Using her intuitive artistic vision, Sue selects and combines unique and extraordinary grasses, perennials, small trees and shrubs, to create innovative and inspired plant designs which are compatible with backyard ponds and water gardens, as well as other wet locations. Besides our array of unique water and terrestrial plants, we offer seasonal aquatic creatures based on availability, such as mosquito fish, snails, and even tadpoles, all of which are sure to be a delightful addition to your pond or water garden. We carry a number of supplies useful for every water gardener, from pond planting materials to natural filter systems, and more. Best of all, we offer creative water feature designs which utilize our plants and incorporate recycled items which you probably have in your own garage or backyard. 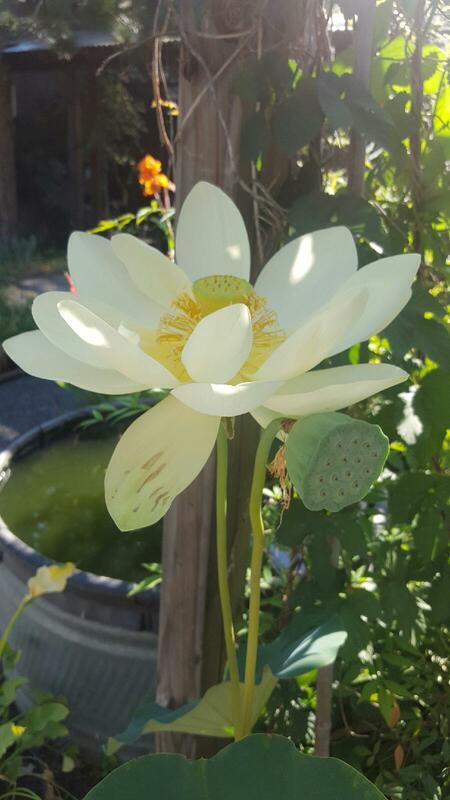 Golden Pond Water Plants wants to inspire your inner creative muse and will help you to design and plant the pond or water garden of your dreams! Our tropical ponds are now displayed to your right as you enter our “botanical garden.” Feel free to wander over to those ponds where you will see the Victoria lily, the largest lily in the world and native to the Amazon River. The Victoria lily blooms are white the first night and then pink on the second night. The tropical ponds display beautiful deep blues and red tropical lilies, as well as the delicate mosaic plant. 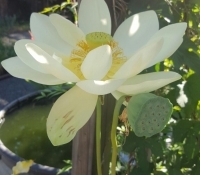 Whether you’re just starting water gardening or are an experienced gardener with many ponds and would like to learn more learn more or have a complete design specifically for your interests, Golden Pond Water Plants can help make it all happen. 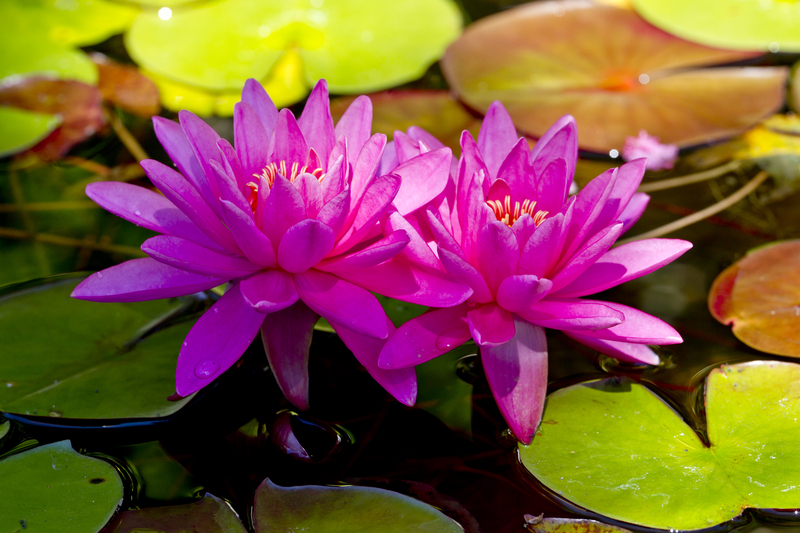 For more information about the aquatic plants we have available, please contact us today by calling 916-652-LILY (5459) or reach out to us via our web form. Golden Pond Water Plants of Loomis, CA is a garden pond nursery providing a wide range of terrestrial and freshwater aquatic plants for gardens of all sizes. We supply gardeners throughout the Sacramento region and Northern California, including Loomis, Roseville, Rancho Cordova, Folsom, Citrus Heights, Arden-Arcade & Rocklin, CA and surrounding cities.